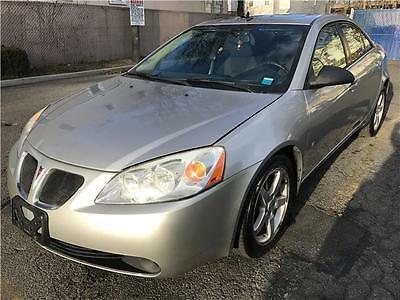 Is in good condition, even despite the relatively high mileage of 151,000. This is because the car has been maintained regularly and driven with care for commuter purposes. Interior is clean, with all the amenities inside the car working without issues. The vehicle does not have rust anywhere on the frame or in the engine. The engine and transmission itself is without any technical problems . good tires, battery. no leaks no smoke. Have some scratch and dents from age . 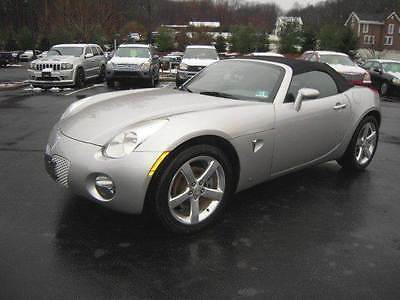 The car located in Lehighton, PA 18235. 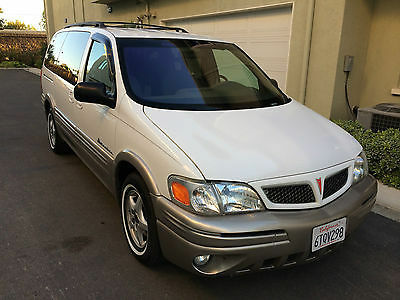 2001 Pontiac Montana Clean title, no accidents. 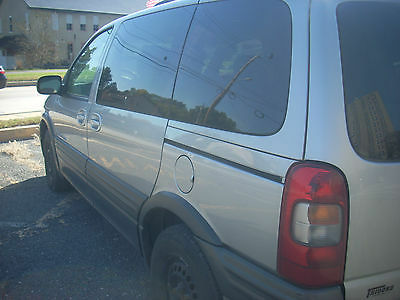 Van is in great condition, looks and drives like brand new. Everything works, no problems at all. Great Minivan from sunny California! 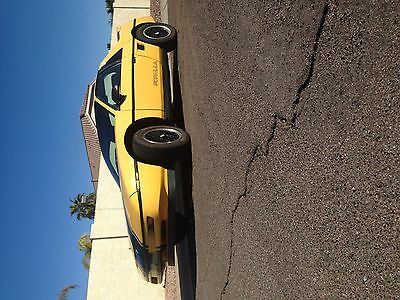 VERY RARE PONTIAC FIERO – ONLY 436 MADE AUTO TRANS JUST TURNED 76,000 MILES. ONE OWNER UNTIL 6 YEARS AGO, THEN A CAR COLLECTOR HAD IT FOR A YEAR, THEN I BOUGHT IT. CAR PURCHASED IN MESA, AZ AND REMAINED IN THE MESA AND CHANDLER AREA. HAS GT EXHAUST TIPS BUT I HAVE LIKE-NEW FORMULA TIPS. ADDED ELECTRIC DECK LID RELEASE. ADDED POWER MIRRORS BUT HAVE THE MANUAL ONES. HAVE ALL COMPONENTS TO ADD STOCK CRUISE CONTROL (INCLUDING REAR WIRING HARNESS). HAVE SHOP MANUAL, LOTS OF RECEIPTS, ORIGINAL WINDOW STICKER. 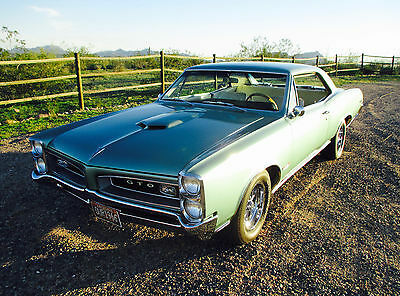 1966 PONTIAC GTO 30,000 Original Documented Miles Numbers Matching 389 V8 Palmetto Green Exterior Parchment Interior Rare Factory Options Pontiac Historical Society Documented Complete frame-on restoration in 2008: GTO was painted in two-stage Palmetto Green. No body work was necessary. Engine compartment, wheel wells, door jambs, inside doors and trunk were all finished. 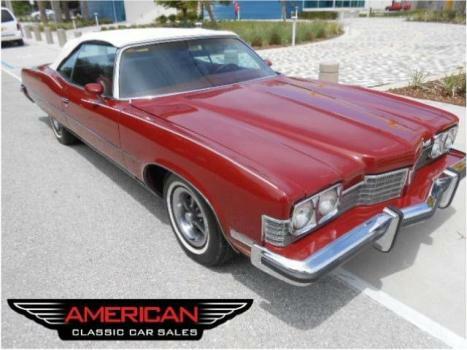 New upholstery New carpet New headlinerFatMat acoustic sound dampening insulate throughout Dash / gauges have been completely gone through Center console has been restored All bumpers, handles, switches have been re-chromed or replaced with NOS as needed. 700R4 4 speed automatic transmission was fitted to the car Tri-Power carburetor with polished dress-up kit was fitted to the car 15” Cragar wheels (Less than 1000 miles) BFGoodrich Radial T/A tires (Less than 1000 miles) Complete 40 Series dual exhaustGrant wood steering wheel Kenwood Audio with Bluetooth/ remote hidden in glove compartment Pioneer 6X9 rear speakers Pioneer front kick panel speakers We retain the 1966 Turbo Hydra-Matic two-speed automatic transmission and it too will go to the new owner. PHS Documented Factory Options: Factory air conditioning Factory power steering Factory power brakes Factory power windows Factory Soft Ray glass Factory console VIN: 242176Z122454 2 = Pontiac 42 = GTO 17 = 2 Door Hardtop 6 = 1966 Z = Fremont, California built Last 6 characters indicate production numbers Body Number Plate: 04C= Indicates build date (04= 4th month, C= 3rd week) Built in the 3rd week of April 66 = Indicates model year of 1966 2 = Pontiac Division 42 = Series (GTO) 17 = Body style (2 Door Hardtop) BF = Assembly plant (Fremont, California) 07719= Indicates body number 224= Interior trim (Parchment) W = Lower body color (Platinum) 1 = Upper body color (Ivory) Engine Identification Details: C186= Engine Production Date Code C = Month of production (C= March) 18 = Day of month of production (18th day of March) 6 = Year of production (1966) Engine was produced on March 18, 1966 Engine Block Casting Number: 9778789= 1966 built Pontiac 389 V8 Engine Code: XE = Indicates a California specific built engine 461038= Indicates engine production number (No correlation to the VIN) California XE coded engines produced the following: Horsepower= 335 Torque = 431 Vehicle Invoice Date / Destination / Dealer Details: Invoice Date= April 21, 1966 Zone = 24 (Los Angeles) Dealer = 351 (Wilkins Pontiac in Van Nuys, California) California vehicle built in Fremont, CA, shipped to Los Angeles, CA and sold at Wilkins Pontiac in Van Nuys, CA. 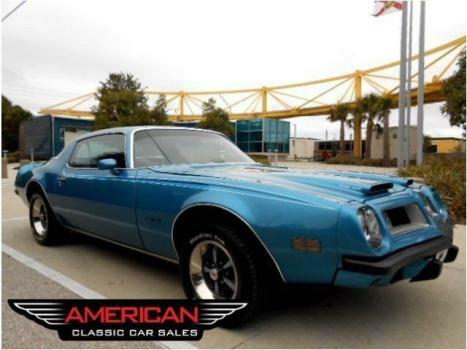 Vehicle Documentation: Our GTO has an Arizona title indicating 29,350 “A” box miles. “A” box designates original miles. In addition to our own title, included with the vehicle documentation are photocopies of four (4) previous titles dating back to 1982. Each of these titles indicates “ACTUAL MILES”. Particulars: All maintenance is up to date. All fluids are changed (more than) regularly. We are happy to work with the shipper of your choice, we just cannot recommend one. We’re more than willing to transact with overseas members and will make every effort to document the loading of the car on our end. You are welcome to view it in person, or have it inspected at your cost. This is a private party sale. As such, there is no sales tax associated with the purchase in Arizona. We are straightforward and honest and wish to work with same. If you have any questions, you may contact me through ebay, or call me at 602-571-0737. Thank you. 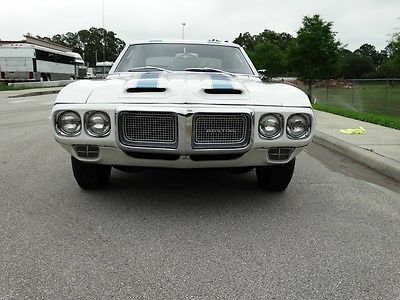 Below are two short videos of our 66 GTO. The first is a photo set shot at the lake and the second is a walk-a-round shot at the Concours in the Hills 2017. 1970 pro street trans am. 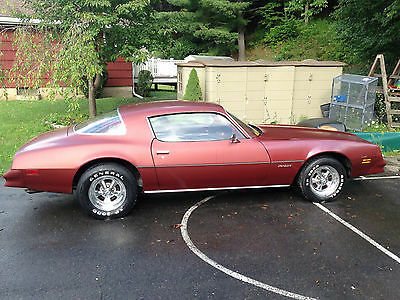 shortened 9 inch rear end , strange axles, rear disc brakes(aero space components), rotors are drilled, 400 pontiac motor, automatic trans, tires are 33 x 21 1/2 x 15, front wheels are skinnies, complete interior: original dash and door panes, Professionally done aluminum wheel tubs. fuel cell, electric fans,aluminum radiator. Needs body work and paint to be a high dollar car. RELISTED and ASKING PRICE LOWERED!! 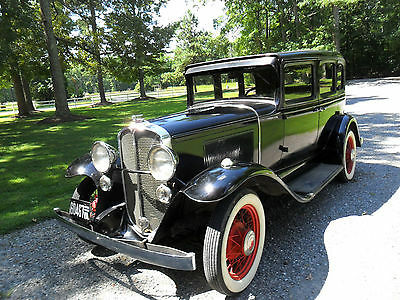 This car is in excellent condition! 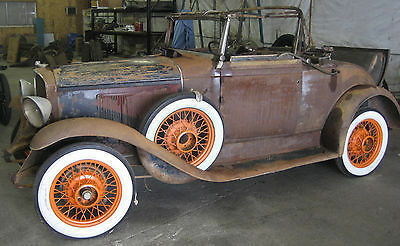 Rust free with a solid body and frame and NO paint bubbles. This car has; Rebuilt 400 sbc stroked to a 406 Steel Crank Vortex Heads 850 D.P. 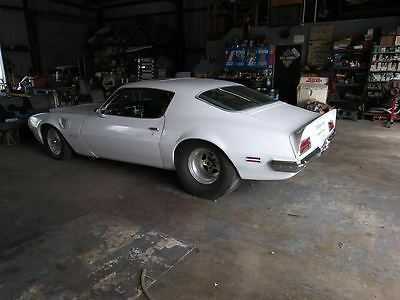 Carb 411 Gears Stock Suspension 15x10/15x4 Drag Radials 700 R4 with Overdrive Custom Instrument Cluster Power Disc Brakes ACCESSORIES ON THE SIDE; -Brand new Weather Stripping & -Brand new Door Panels Interior is all redone and new. The hood is steel and scoop is fiber glass.The transmission is a rebuilt 700 r4 W/ Overdrive, B&M Shifter. The Car comes with a new reverse pattern valve body. Overall this car is CLEAN and FAST. The cars Odometer shows 57,183 miles but the rebuilt engine has only 100 miles on it as does the rebuilt transmission. I would like to show pictures of the under carriage too but I have no access to a lift at the moment. I can say that the under carriage is very clean and solid. No rot. This car also a sub-frame connector making the car much stronger than without out. 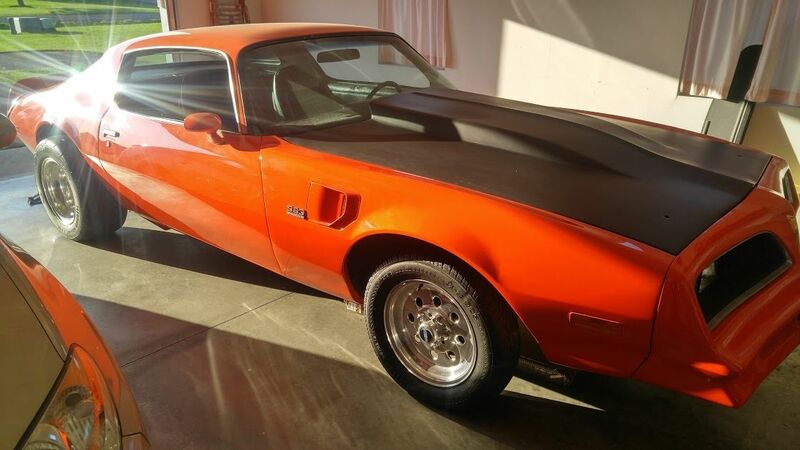 The only minor flaw are some small paint chips on the rear corner bumper and on the Fiber Glass hood scoop which can be seen in the pictures. The pictures came out just as the car looks in person. I describe this car as VERY CLEAN and VERY FAST. Below are two links of a video of the car, Just put www. before the link, copy and paste them please. youtube.com/watch?v=aUIcvy4C-6Q&feature=youtu.be youtube.com/watch?v=9boVeA2h_Jk Any questions Call Billy at 315-507-7784 FYI, I apologize for little Ebay feedback. This is my second Ebay item being sold and I am trying to earn a positive Ebay Reputation through selling more items. Thank you for understanding!